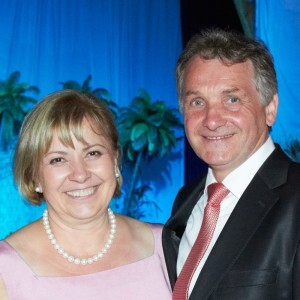 Managing Director, Grace Mazur, was first introduced to Thermomix ® during a holiday in Poland. While visiting a childhood friend, Grace was amazed to see this machine create an entire meal in minutes. Being an avid cook, she had to bring one home. After discovering it had never been sold in Australia, Grace won the rights to become the sole Australian distributor from Vorwerk International. Thermomix ® in Australia has expanded around the country as over 300,000 satisfied customers share the time, money and health benefits of this product with their friends and family. With the introduction of the Thermomix ® social network – Facebook, Twitter, YouTube, Pinterest, Instagram and the Recipe Community – word is spreading even more rapidly. One head office in Perth has now expanded to include offices in Melbourne, Brisbane and Auckland, New Zealand. Thermomix ® – providing an exciting, unique way to improve your lifestyle every day. Thermomix ® in Australia and New Zealand strives to build sustainable relationships and works enthusiastically to encourage a healthier lifestyle for all, through better cooking and eating practices. Our unique business approach brings Thermomix ® directly to you. TrustWe are ethical, demonstrating honesty, integrity and transparency in all we undertake. RespectWe nurture relationships and respond with compassion, sensitivity, thoughtfulness and empathy. ExcellenceWe equip, inspire, and empower our people to work collaboratively towards common goals in the pursuit of excellence. AccountableWe actively accept and demonstrate responsibility through all levels of the company. DynamicWe seek to maximise our outcomes through innovation, enthusiasm, resourcefulness and commitment to learning and sharing.